hair, nail and skin care services. 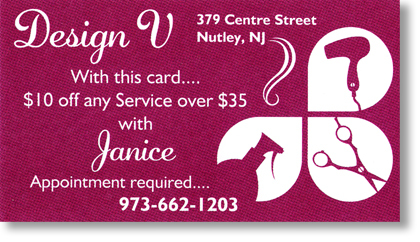 Make your appointment with our expert stylist Janice and receive 10% off any service over $35. ©2015 Design V Salon LLC. All Rights Reserved.